Fujian Assembly Hall (or Phuc Kien Assembly Hall) located at 46 Tran Phu Street, Hoi An Old Town. The hall was established by a group of Fujian (Vietnamese: Phúc Kiến) businessmen (China) around 1690. 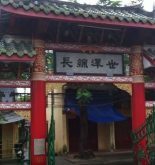 The house was initially a traditional hall for the meeting of Fujian people, then it was transformed to a shrine to their deity named Thien Hau, who protects them from dangers on sea. Going this monument, visitors would be surprised by the exquisite magnificent skillful handmade works. The house possesses a typical architecture “Tam”, which bears all the fundamental features in structure of China. The hall ornate gate and colorful courtyard with fountains make the place very photogenic. The main hall is where standing the shrines of deities like Thien Hau goddess, the Budha Goddess. Behind the central alter are the status of God of Fertility, who shapes the performance of child, two fairies and twelve midwives who take care of children in twelve months of year. Therefore, Fujian Assembly Hall attracts childless couples come to pray for children. 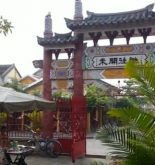 Fujian Assembly Hall is a relic of religious beliefs in Hoi An. Every year, on the day Nguyen Tieu (15 lunar months), Lady Luc Tanh (February 16 Lunar), Lady Thien Hau worshiping (lunar March 23) took place many festivities attracting a number of domestic and foreign tourists to participate. This is an occasion of high moral remembrance of ancestors as well as the opportunity to meet fellow denizens of Fujian. Ticket: including in the Hoi An Old Town tickets. Address: 46 Tran Phu Street, Hoi An Old Town.